Never, Never, NEVER buy dollar store thread! 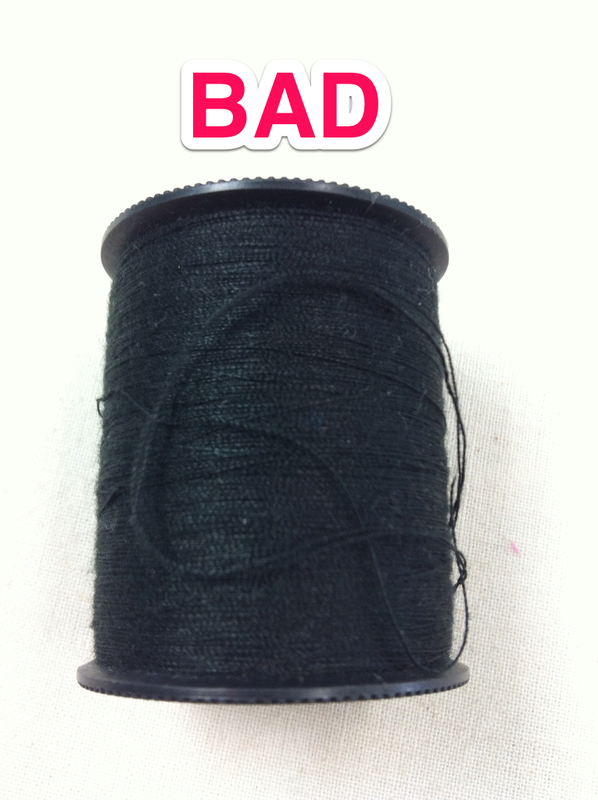 It is bad for the sewing machine, will knot, tangle, break and frustrate you! ALWAYS buy good quality thread! 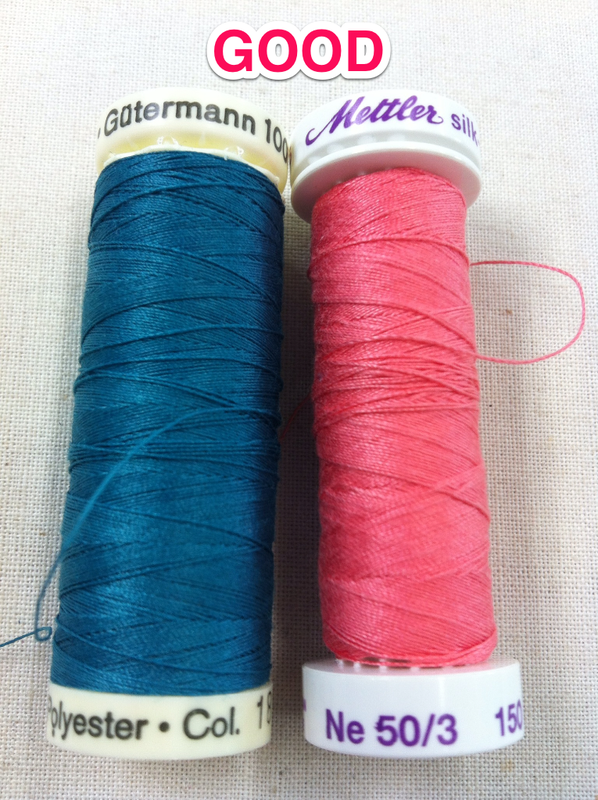 It doesn’t really matter if it is polyester or cotton for garments (although quilters will tell you cotton thread is a must for quilting). 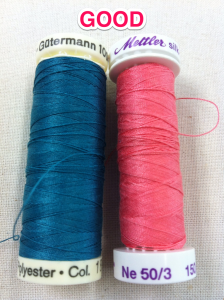 There are threads for any occasion out there so be sure to get “Sew All” or “All Purpose” thread for your basic sewing needs!